After a successful phase one of their joint North American tour, trance duos Tritonal and Super8 & Tab have just released the tour's namesake--their collaboration, ‘ARC’. Out now on Air Up There Recordings, 'ARC' is a big-room progressive house track with trancey undertones which showcases the energy the pairs have unleashed from coast to coast this fall/autumn. 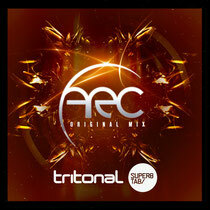 "Most of the work on 'ARC' was done over Skype and file sharing," says Dave Reed of Tritonal. "But when we had a several day break from the tour, Miika (Super8) and Janne (Tab) stayed in Austin and we finished up the track together at the Tritonal studio." From parties in Los Angeles, Seattle and Denver, the 'ARC' Tour has delivered fans an opportunity to see two of EDM's most prolific productions pairs back to back. To transition from one set to the next, all four members of Tritonal and Super8 & Tab congregate on the decks while 'ARC' is dropped and it's been a staple of the tour. "'ARC' has gotten a huge reaction in every city," says Miika Eloranta, one half of Super8 & Tab. "The fans get to see all of us on stage while they hear the track for the first time live." The idea for a joint Tritonal/Super8 & Tab tour came about after the duos sold out The Exchange LA together back in February. "We knew we had something special after that," says Chad Cisneros from Tritonal. "We decided to collaborate on a track and tour the US to promote it."